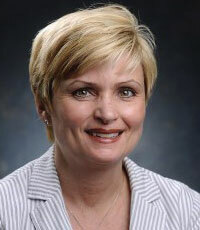 Past Dr. Kathy Nugent serves as Managing Director for the UAB Institute for Innovation and Entrepreneurship. Dr. Nugent is a senior biotechnology executive with over 20 years of healthcare industry experience. Dr. Nugent currently serves as the director and assistant professor of the Masters of Biotechnology program at UAB (University of Alabama at Birmingham.) Dr. Nugent specializes in providing senior counsel to companies focused on pharmaceutical discovery and development. Specifically, she provides strategic guidance in the areas of financial, scientific and regulatory communications, product launches and crisis management. Dr. Nugent also serves as the current President of the Biotechnology Association of Alabama. In this role, Dr. Nugent interacts with state biotechnology companies, affiliated organizations, economic development allies, academia, and state government officials. Dr. Nugent was an adjunct professor at the City University of New York, Hunter College, Baruch College and Medgar Evers College. Dr. Nugent earned her Ph.D. in biopsychology at the City University of New York and completed a post-doctoral fellowship in Pharmacology at the Weill-Cornell Medical College.